Nitin Nayar is a Managing Director at Warburg Pincus India Pvt Ltd. He is based in Mumbai and joined Warburg Pincus in 2003 and has been working with the firm’s Indian affiliate since 2004. He is involved in the firm's investment advisory activities in India and evaluates opportunities in the technology and media sectors. 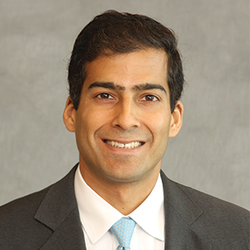 Prior to joining Warburg Pincus, Mr. Nayar was business development manager for Epoch Partners, a boutique U.S. investment bank and worked in the technology investment banking group at Merrill Lynch in Palo Alto. He is a director of MXC Solutions India Private Limited (Car Trade) and Capillary Technologies. Mr. Nayar holds an A.B. from Harvard College and an M.B.A. from Harvard Business School.